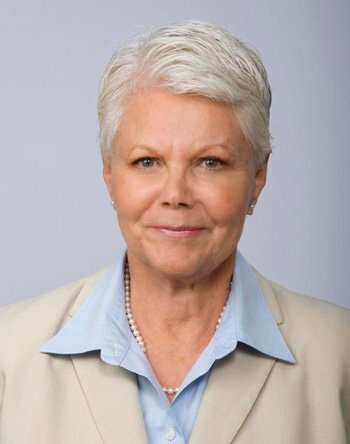 Carole Metour has been the President and Chief Executive Officer of the Preventive Maintenance Services Company (PM Services Company, PMSC), since she incorporated the company in California in 1986. In 1993 she founded a sister company in Florida, providing identical services in all states except California. Following completion of all California contracts, the California Corporation was dissolved, and her focus became directed to the Florida Corporation, with corporate offices located in St Petersburg FL. Prior to founding the two corporations, Carole served as an Assistant Hospital Administrator for a California corporation. Her other positions, following her completion of two graduate degrees, Master in Social Work (Community Organization focus) and Master in Public Administration, include filling a position as a Social Worker for the Los Angeles County Department of Mental Health, and serving as Director of Clinical Services at the Los Angeles Suicide Prevention Center. Carole is responsible for overall direction and management of PMSC Operations. She collaborates with the company Leadership Team focusing on providing customers with exceptional services at fair and reasonable costs. In 2001, PMSC was certified as a Woman-Owned Disadvantaged Small Business. This distinction provided opportunities for contract awards that have significantly contributed to the company resume of 29 years in operations and maintenance. The company graduated successfully from the 8(a) program in 2011. Since 2003, PMSC has been recognized as one of the top Women-Owned Businesses in the Tampa Bay Area. In 2014, PMSC achieved the status of one of the top ten Women-Owned Businesses in Tampa Bay Ranked by Revenue. Regarding her personal style of management, Carole takes great pride in identifying individuals from the company staff of employees who demonstrate personal ethics, motivation, maturity, experience, business aptitude, curiosity, eagerness to learn, and job performance as a team player. She recruits these individuals for her Leadership Team, where all members can be recognized for these characteristics. The results of this team approach are supported by the company reputation. Her passion for ethics in business and government is reflected in her mission since the inception in 1986—that the company is recognized as being ethical in everyday operations. Carole has been observing the changes in facility operations and maintenance for several years and the shifting focus on energy for increased efficiency of the assets owned by the tax payer. She recognized the exciting changes constantly being made available through new systems and equipment. Her Leadership Team took on the challenge to design and develop new services to explore how the company could offer its customers assistance with these energy challenges to their facilities. As a result, the Leadership Team developed a new division of services designed to address energy issues, and it is currently being launched as Building Professional Services (BPS), a division of PMSC. The BPS drive solutions for customers to achieve energy cost reductions for their facilities, commissioning of building automation systems to ensure proper functioning, and system integration for the facility with a variety of building automation systems for maximizing the benefits to the customer’s organization. Early on, Carole’s goal was to establish a company reflecting its commitment to actively work with customers in a partnership role, along with an eagerness to explore and expend its expertise as a company and to uphold customer facility investments. Her cornerstone goal continues thirty years later, demonstrating through PMSC’s satisfied customers and successful projects.